After discussing the diagnosis and accomodations for dyslexia in our Dyslexia Demystified essay, we are shining the spotlight on three individuals living and thriving with the condition. You can find Joel’s story here, and Rajan’s here. This is Patience’s story. 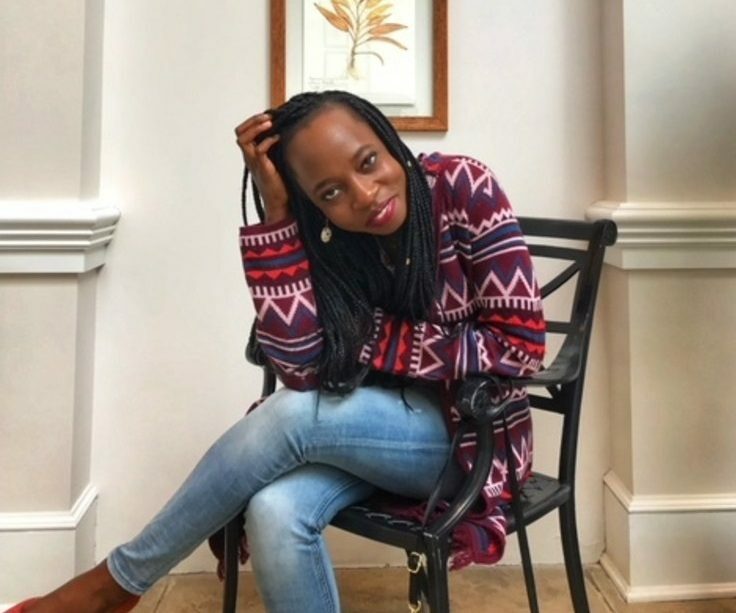 Patience Ruth Nakibirige is a Ugandan currently pursuing her Masters Degree in Organiazational Leadership from Saint Mary’s University, Minnesota. She attained her Bachelor’s Degree in Business Economics from Nkozi University. She is a blogger over at https://www.adaezeblog.com/ and uses words as her largest form of self expression. “When I was younger my prayer always was, ‘Lord, take away these pimples from my face and help me spell.’ Those two were my biggest problems. They were the cause of so much bullying and all my self esteem issues. It wasn’t until much later in life that I realised my problems with spelling were because of a condition known as dyslexia. It suddenly all made sense; the constant yelling from my parents and teachers, my tearful frustration at being unable to spell even my own name. I was not just stupid. There was a name to all I had struggled with. My dyslexia is self-diagnosed. I began to actively seek information on the condition in my senior 5. It was my struggle with other mental health aspects (depression and bipolar disorder) that forced me to figure out what the cause was for all my issues. Once I found out I had dyslexia, after the initial relief, I began to wonder: ‘What next?’ Therapy had worked for some people but I did not have that privilege. I needed to find ways to deal. My dyslexia manifests predominantly as issues with phonetic awareness and reading. Reading for me is really a memory exercise. If I have seen a word before, I store it in my memory with context (either the story I am reading, or the person in the book that said the word) and the next time I see it in a book or somewhere else, I can recall it. Reading new or unfamiliar words for me therefore, is a problem. I have to hear someone say it a couple of times then commit it to memory. Words in my head come with images. That is how they are stored. I expose myself to as many words as possible so that my bank is full so to speak. So that I can soak up as many words as I can. In primary school, my exposure to words was limited so if a text book did not have pictures processing that information was nearly impossible. I have bottom-line parents. For them the point was always good grades. How you achieved them was really up to you. Once I realised dyslexia was what I had, I found ways to work around it. I found that for me visual learning worked best. All my school notes and summaries had doodles. Because I have a really good memory I also learnt more from people talking and explaining things so I would pay a lot of attention to teachers. I discovered the audio dictionary and for me that has helped a lot too. So if I find a world I am not familiar with I put it in and once I know how it’s pronounced I say it a couple of times and commit it to memory. One of the things that has helped is how I see myself: I am perfectly fine. I refuse to see it as a hindrance or this negative thing about me. My family has had to accommodate me too! They used to complain a lot about my typos in texts. Now, we agree that as long as they can understand, we are good. Another thing that has helped immensely is my friends and family. If you are dyslexic, surround yourself with people that know and understand your condition. These are your support system! I love mine for speaking and being life when I couldn’t find it. This one time in primary school, I came home beside myself with tears because some kid had said something mean to me. So I went to my elder brother Chris and said, ‘I’m so ugly, I’m so stupid.’ He lifted me up and said, ‘I don’t know why things are like they are now, but all of this will go away someday. And you will change the world.’ My best friend on campus, Melissa, would let me use her notes because half the time even I could not understand my own. She would help me study and fill in the places my dyslexia left me lacking because it was not a disorder you brought up or expected sympathy for. You know what’s crazy? It never raised flags with my professors. I guess what helped is I was doing a course that dealt heavily in numbers, Business Economics, so I hid behind that. The thing is even numbers weren’t an obvious choice for me. But that is a story for another day! When I moved to the United States for Masters though, all that changed. In my first class, I was able to talk about my struggle with processing information and it was so well received. I felt so much compassion; many people talked about helping me study if ever I needed it. Professors even talked about giving me extra time with assignments. Honestly though, all in all, even with all the coping mechanisms I put in place, it was God that got me through that time. The opportunities for dyslexic people in school to thrive are so limited, even more so in Uganda. There were many times I was ready to call it quits, but I didn’t. And here we are. Uganda isn’t where it should be when dealing with mental health and learning disabilities. There is still a lot of stigma. It is easier to say I am an addict or an alcoholic than I am depressed or dyslexic. We need to learn to be more compassionate; to give room for issues we do not understand. When people are faced with issues like this that we do not know how to solve we put them in a box, try our best to explain and rationalise them instead of allowing the issues to exist and finding ways to accommodate them. Dyslexia, with support from systems and people around you, is a manageable condition. As Ugandans we need to be those supportive systems and people.